Forests are integral to our lives in complex ways that we are only beginning to understand. From reducing stress to carbon sequestering and climate regulation, they play a large role in our health and our planet’s health. March 21 is the International Day of Forests and this year’s theme centers on education ensuring that people – kids, policymakers, funders, and people who live in communities near forests – know the value of forests and why it is important to protect them. In the campaign promoting celebration of the International Day of Forests, through powerful messages and examples, the United Nations encourages the global community to learn to love our planet’s forests. Below we are underscoring some of them through the stories that recently appeared on the GEF blog and Medium. Understanding our forests and keeping them healthy is crucial for our future. Forests will be more important than ever as the world population climbs to 8.5 billion by 2030. – International Day of Forests 2019, UN Key Message. Forests cover around one-third of the earth's land surface. Forests maintain biodiversity, protect land and water resources, and play a significant role in climate change mitigation. Rapid development and competing land uses, particularly for farming and grazing lands, commercial plantations, and infrastructure expansion, have cut wide swaths through the world’s forests. As the human population continues to increase, competition for land will intensify. We see the negative impact of this competition already. Over the past 25 years, the extent of the world’s forests has declined by about 3%. A different approach to long-term development can be tested in the Amazon, the Congo Basin, and important dryland landscapes around the world. 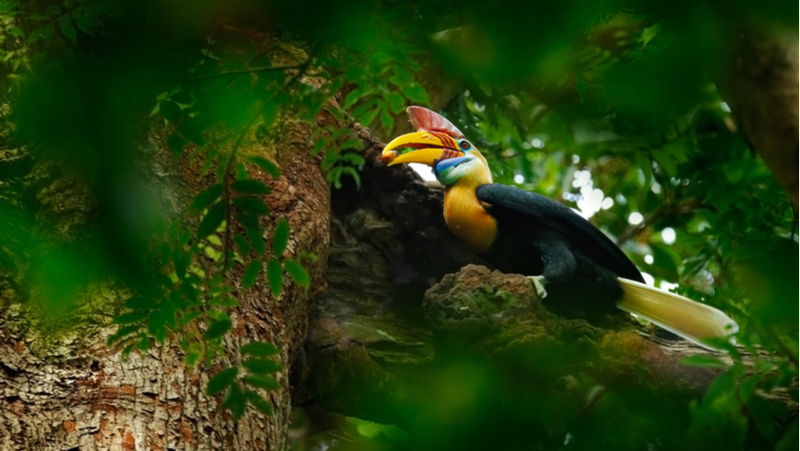 The GEF is taking vital steps to protect these areas from forest degradation. The stakes are high. The Congo Basin contains so much sequestered carbon that its release would result in three years’ worth of the world’s total fossil fuel emissions, or 20 years of greenhouse emissions from the United States. In his recent blog post, GEF’s Sr. Environmental Specialist, Jean-Marc Sinnassamy, wrote about his work to bring together experts and policymakers from several countries within the Congo Basin to discuss sustainable forest management. Read more about the Congo Basin Sustainable Landscapes program and Libreville regional consultations. You’re never too young to start learning about trees. Helping children connect with nature creates future generations who are conscious of the benefits of trees and forests and the need to manage them sustainably. – International Day of Forests 2019, UN Key Message. Children have a natural wonder of forest landscapes, but without education, this interest can fade as they grow up. Hasita Bhammar, a Wildlife Conservation Analyst with the World Bank Group, gives tips on how to engage kids in forest education based on her experience in the Pench Tiger Reserve in central India. Her first recommendation is to pique kids’ interest by giving them an opportunity to explore. Nothing substitutes for hands-on learning to activate curiosity. See her final two recommendations and read more about this work on Medium. And while you’re there, don’t forget to follow the GEF! Investing in forestry education can change the world for the better. Education can ensure there are scientists, policy makers, foresters, and local communities working to halt deforestation and restore degraded landscapes. – International Day of Forests 2019, UN Key Message. Without an educated pool of people to draw from, countries will be ill-equipped to address forest landscape and other environmental degradation. We need to take a multifaceted approach to addressing environmental challenges, including adding environmental education in primary and secondary school, championing life-long learning about forests and other environmental assets, and encouraging activism to educate policymakers about the importance of environmental issues. Take the first step yourself and start learning now. Watch these three videos on forests curated on our Medium. Happy International Forests Day. You’re never too young – or too old – to learn about forests and how you can contribute to protecting them!